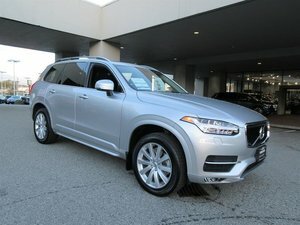 Our Accident-Free, Certified Pre-Owned 2017 Volvo XC90 Momentum T6 AWD SUV is redefining luxury in Savile Grey Metallic! Motivated by a 2.0 Litre TurboCharged and SuperCharged 4 Cylinder that generates 316hp while tethered to an 8 Speed Automatic transmission. The presence of this All Wheel Drive is unlike any other with near 9.4L/100km, impressive acceleration, the power to tow, and tenacious traction. 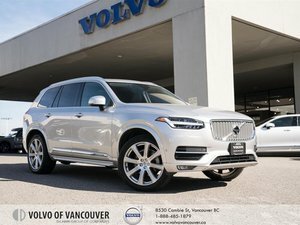 Feast your eyes on its elegant proportions that feel both sleek and sporty with 19-inch wheels, LED headlights, roof rails, a hands-free power tailgate, and a beautiful panoramic sunroof. 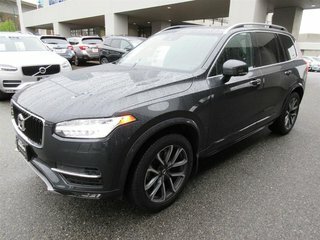 The aesthetic of our XC90 Momentum T6 appeals to those with a taste for the more exceptional things in life with heated leather front seating that is superior with power adjustments and lumbar support, plus, accommodating your adventures is easy with ample cargo/passenger space and room for 7. Staying connected is simple with our central touchscreen display featuring navigation, voice controls, Bluetooth, and smartphone integration. Imagine yourself behind the wheel, listening to whatever tunes suit your mood on our sound system with available satellite radio. This is first class travel! 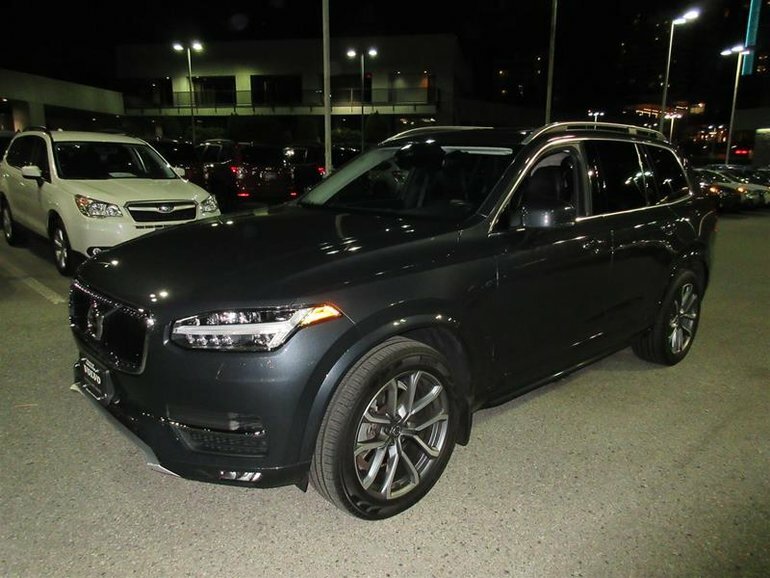 A Top Safety Pick, our Volvo XC90 Momentum T6 includes a rearview camera, frontal collision warning with pedestrian and cyclist protection, advanced airbags, and more. 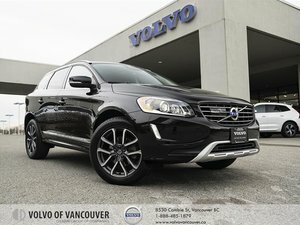 Make no compromises - reward yourself by getting behind the wheel of this impressive SUV. Print this page and call us Now... We Know You Will Enjoy Your Test Drive Towards Ownership! Our advertised price includes a $495 Documentation Fee. No additional fees or surprises when you are ready to purchase. We offer financing options for most of our quality Pre-Owned Vehicles. 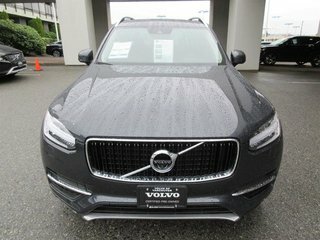 Interested in the 2017 Volvo XC90 T6 AWD Momentum ?